Breathing techniques, like other natural pain relief options, don't involve drugs or require medical supervision. You're in control. They involve the use of practiced, paced breathing during contractions and are another mainstay of self-comforting measures for labor. Concentrating on your breathing during labor and delivery helps distract you from the pain and relaxes your muscles so that tension, which heightens pain, is eased. Deep, controlled, slow breathing can also reduce nausea and dizziness during childbirth. Most important, perhaps, concentrated breathing helps bring oxygen to you and your baby. It's best to learn about and practice breathing techniques before you go into labor. Breathing methods, such as Lamaze, are taught in childbirth classes. Take your labor coach with you to class so that he or she can help you with the techniques during labor. The more you practice, the more natural it will be for you to use these methods once contractions begin. Breathing exercises can work immediately, should you choose to use them during labor. Many women do. 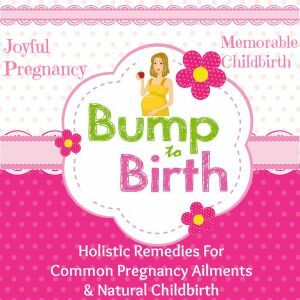 However, these methods aren't always successful because they depend on your reaction to labor pains, which can't be predicted, and on your ability to concentrate on something other than your labor pains. Breathing techniques can be combined with other types of pain relief. Lamaze is both a philosophy of childbirth and a breathing technique used in labor. The Lamaze philosophy holds that birth is a natural, normal, healthy process and women should be empowered through education and support to approach childbirth with confidence. Lamaze classes focus on relaxation techniques, but they also encourage you to condition (program) your body's response to pain through training and practice. For example, you're taught controlled breathing exercises, which are a more constructive response to pain than are holding your breath and tensing up. Lamaze instructors teach expectant mothers to take a deep, cleansing breath to begin and end each contraction: Inhale through your nose, imagining cool, pure air. Exhale slowly through your mouth, imagining tension blowing away. The deep breath signals to everyone in the labor room that a contraction is beginning or ending and is a signal for your body to relax. This is the type of breathing you use when you're relaxed or sleeping. Take in slow, deep breaths through your nose and exhale through your mouth at about half the speed of your normal rate. If you like, repeat a phrase with the breathing: "I am (inhaling) relaxed (exhaling)," or "In one-two-three (inhaling), out one-two-three (exhaling)." Or breathe in rhythm while walking or rocking. Breathe faster than your normal rate but shallowly enough to prevent hyperventilation: "In one-two (inhaling), out one-two [exhaling], in one-two [inhaling], out one-two (exhaling)." Keep your body, particularly your jaw, relaxed. Concentrate on the rhythm, which may be faster at the height of the contraction, then slower as it fades. Use this type near the end of labor or at the height of strong contractions. The rate is a little faster than normal, as with modified-pace breathing, but now you use a pant-blow rhythm such as "ha-ha-ha-hoo" or "hee-hee-hee-hoo" that forces you to focus on the breathing rather than the pain. Repeat the pattern. Start slowly. Increase the speed as each contraction peaks and decrease as it fades. Keep in mind that when you increase the rate, the breathing should become shallower so that you don't hyperventilate — if your hands or feet tingle, slow down. There's some concern that hyperventilation can decrease oxygen supply to the baby. If moaning or making other noises helps, go ahead. Keep your eyes open and focused and your muscles relaxed. If you feel the urge to push but your health care provider says your cervix isn't fully dilated and you must hold back, blow out tiny puffs with your cheeks — as if you're blowing out birthday candles — until the urge to push passes. When your cervix is fully dilated and your health care provider tells you to go ahead and push, take a couple of deep breaths and bear down when you feel the urge. Push for about 10 seconds. Exhale. Then take in another breath and push again. Contractions at this stage will last for a minute or more, so it's important that you inhale at regular intervals and don't hold your breath. Your personal preferences and the nature of your contractions will guide you in deciding when to use breathing exercises in your labor. 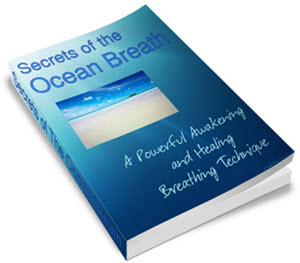 You can choose breathing techniques or even invent one on your own. Even if you plan on having pain medication during labor, it's still important to learn breathing and relaxation techniques.